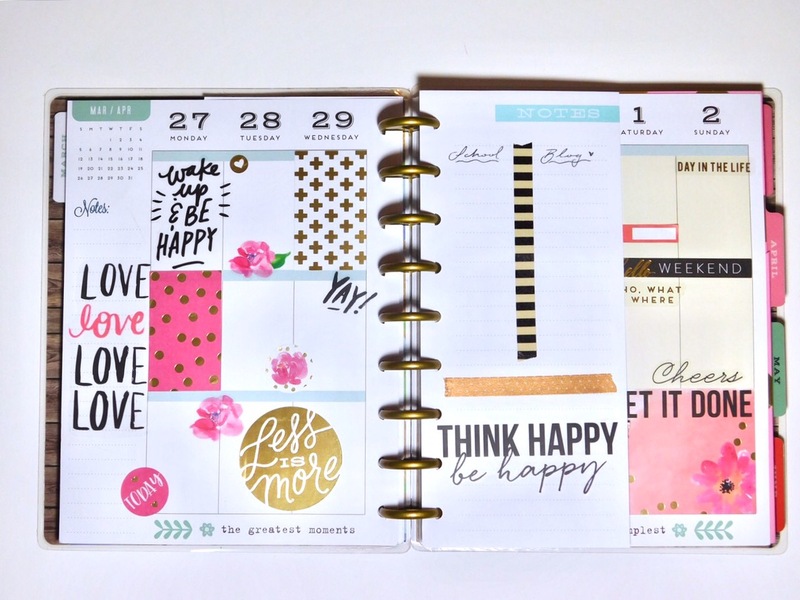 Last month, I stumbled across the Happy Planner and immediately became obsessed. 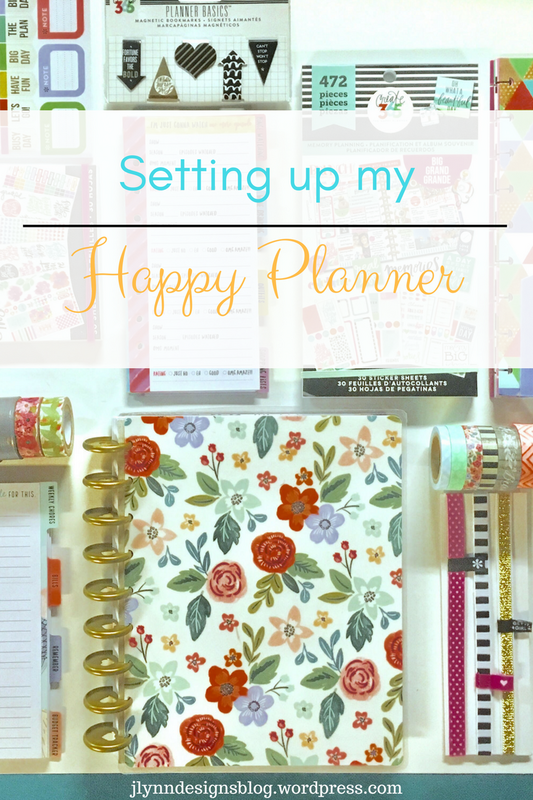 I originally found out about it on Instagram on the explore page which then led to me starting a “Happy Planner” Pinterest board! The following week I found myself at my local Michael’s, staring at the planners in awe. The store had a whole aisle dedicated to the line of planners. 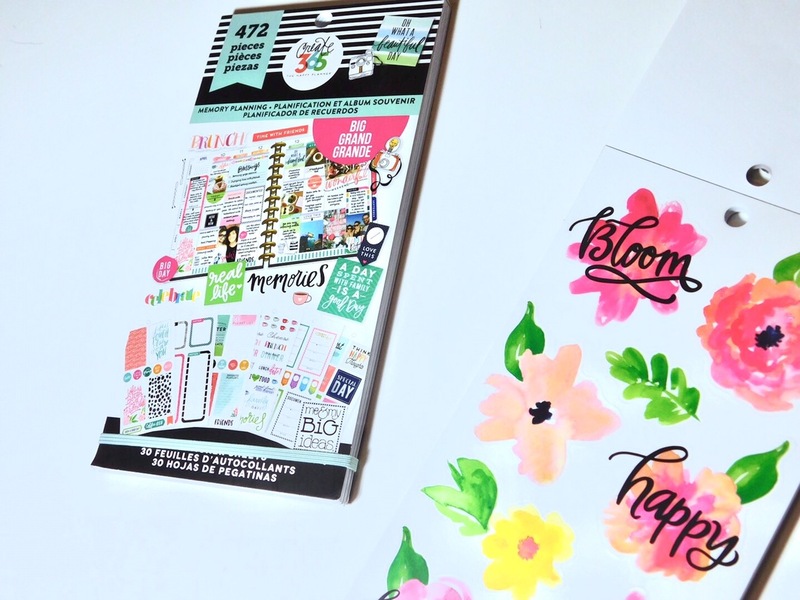 There’s three sizes: the mini happy planner, the medium happy planner, and the big happy planner. 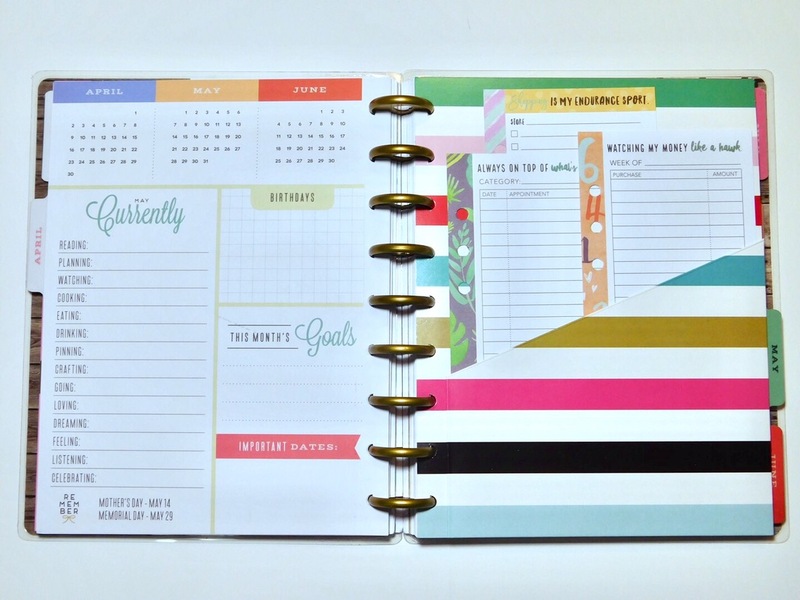 The aisle was loaded in accessories for the planner; and for each sized planner there’s specific sized stickers, pages, and dividers to fit each one! I was astonished by how many there were to choose from, and I’m still shocked I made it out of the store in less than an hour! 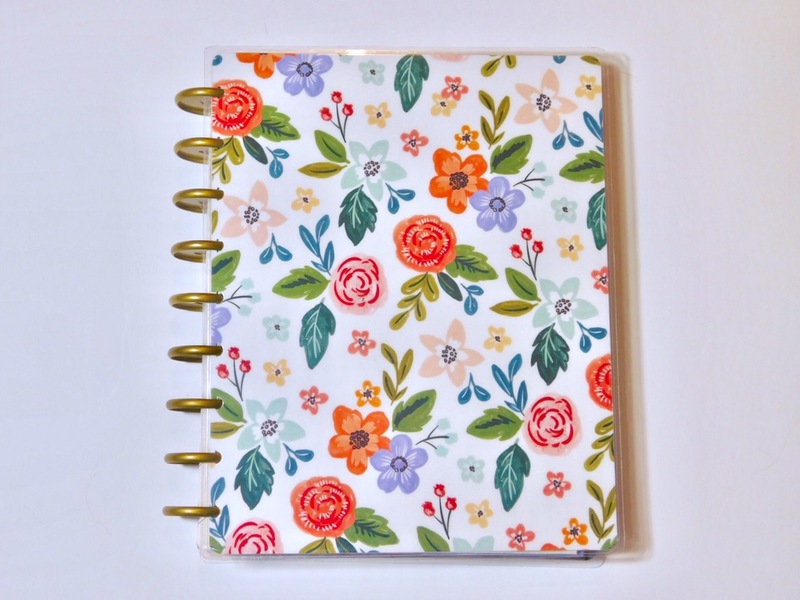 This is the planner I chose! This one is the medium size which is a perfect fit for my purse! I was a little upset because the new set of planners had been released for almost two weeks but Michael’s still didn’t have them yet but I still chose this pretty one! 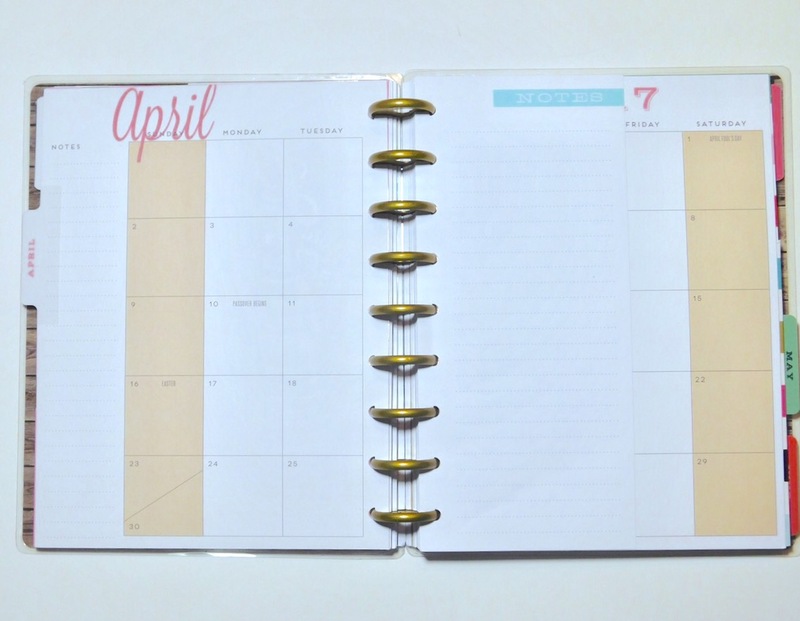 The planner looks like this on the inside. Before each month starts, there’s a page dedicated to your current favorites, upcoming birthdays, dates, etc. 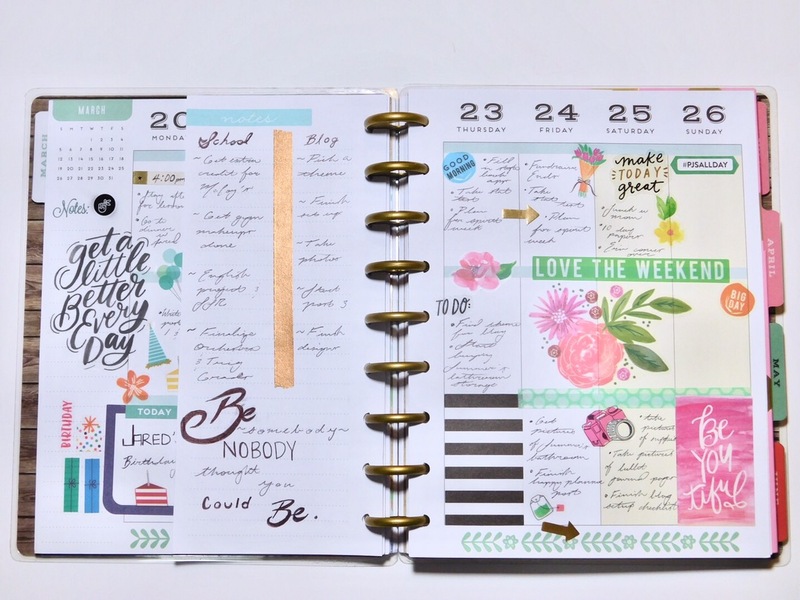 There’s a monthly calendar, and then the weekly pages. The “notes” sheet is from a pack I bought that I slipped in on each weekly page just for a general list of things I need to complete that week! 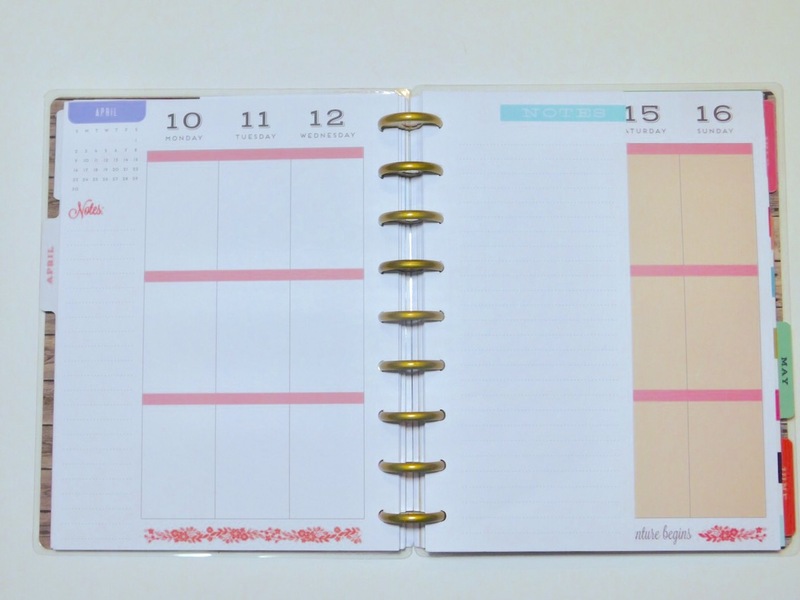 After I added in the “notes” pages, I added in some cute divider pockets I bought to each month (which I made sure to match them to the monthly tabs!) Inside the pockets, I have three little sheets tucked in. They came in a pack but I wasn’t aware they weren’t apart of the Happy Planner collection until I opened them up which was so sad! 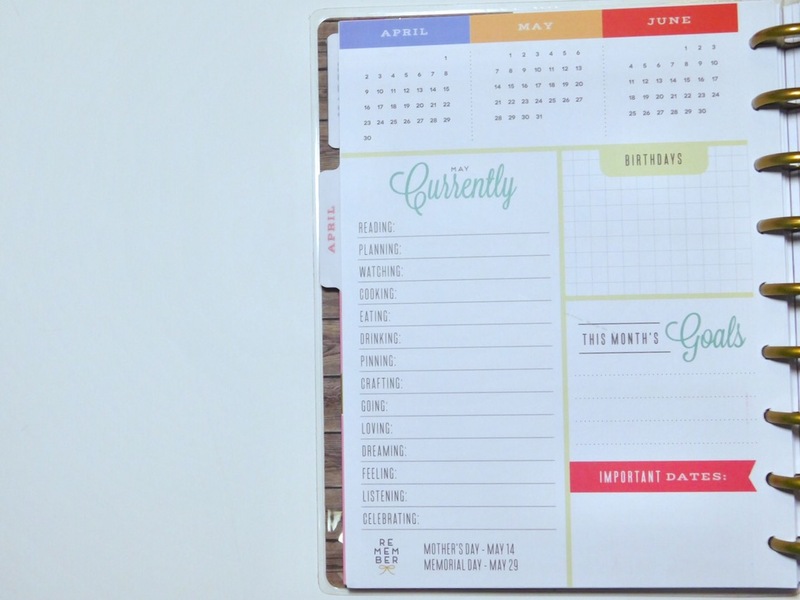 The first sheet is your monthly spending so you can track everything, which really comes in handy! The second one is for writing down any appointments and times that are important, and the third is about your shopping needs! I put these sheets in each pocket so I can stay more organized but not go too crazy. I also bought three sticker sets, which I absolutely love! I go absolutely crazy with these stickers! I will admit, they were a bit pricey, so once I go through them, I’ll probably use a different brand. But the sets are so beautiful and they really make the pages pop! Normally I start by preparing each week’s pages about a week or two ahead of time just so that I don’t have to spend an hour putting stickers on all in one day! For each day, I leave two boxes empty, one (normally the top one) is for my personal to-dos/reminders, and the second box is dedicated to my blog! On the notes sheet, I compose a to-do list for the whole week for my blog and school, just as a whole so I can glance at it altogether! 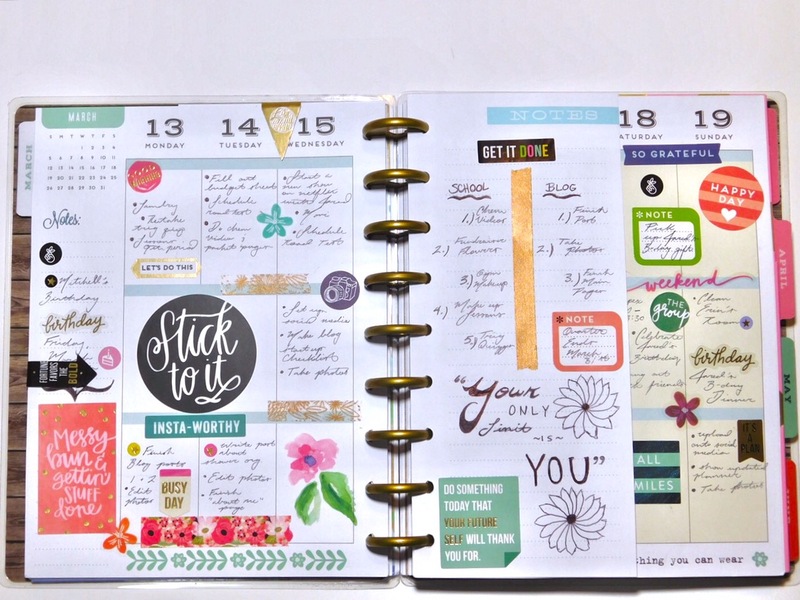 These are my weekly pages from the last two weeks, full of stickers and plans! Even though it looks like it would be really time consuming, it’s really not! Like I said before, I set it up in advance, and then when the week comes up I’ll add in a few more things throughout the week. 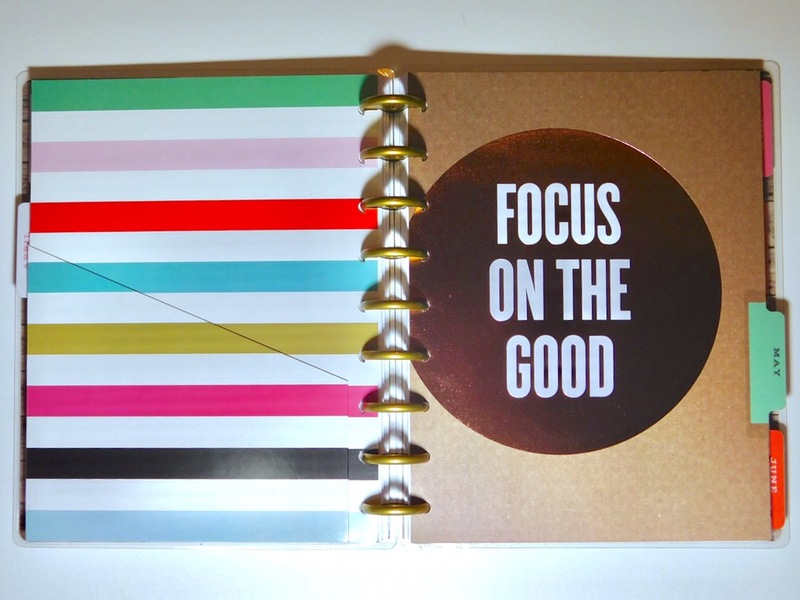 So far, the Happy Planner has been extremely helpful and I love it so much! I take it everywhere with me and I receive endless compliments on it so I highly recommend it!